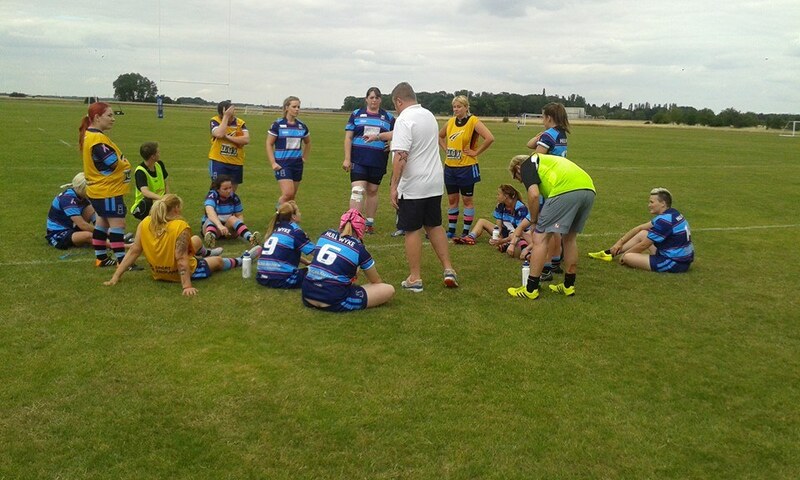 As you can guess from the headline, ladies rugby league is real and it looks very healthy if the game I saw, when Hull Wyke Ladies RL visited RAF Cranwell, is anything to go by. 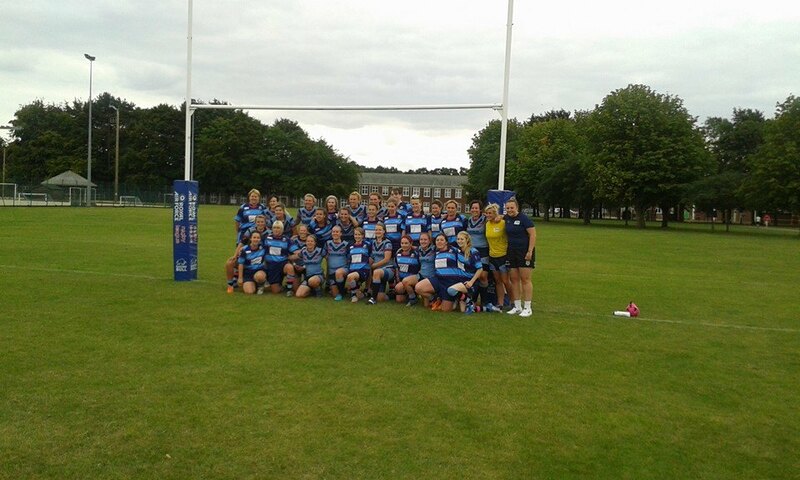 I met the team from Hull and traveled with them on their team minibus to the RAF College in Lincolnshire where they were to play their third game against the ladies from the military. 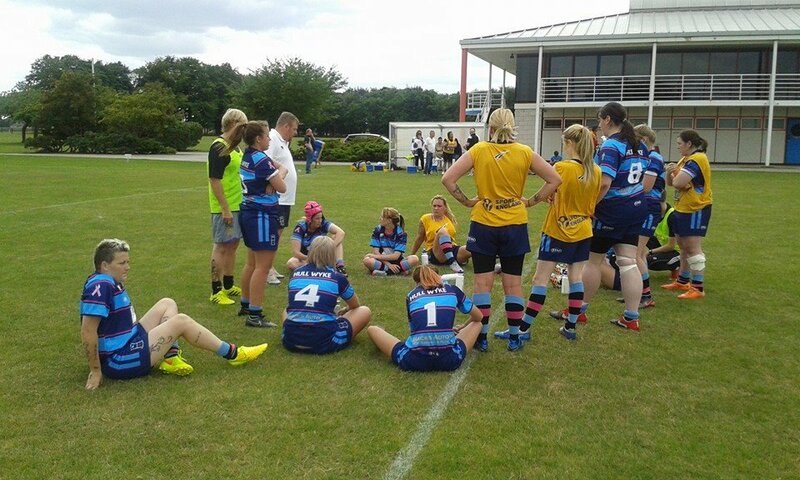 On the way I found out more about how the team came about, what they want to achieve and how they see the club developing as I spoke to team manager/secretary Sally Ellerington. Her advice to other people wishing to start up a ladies team is clear, “Be prepared for it to take up a lot of your time. 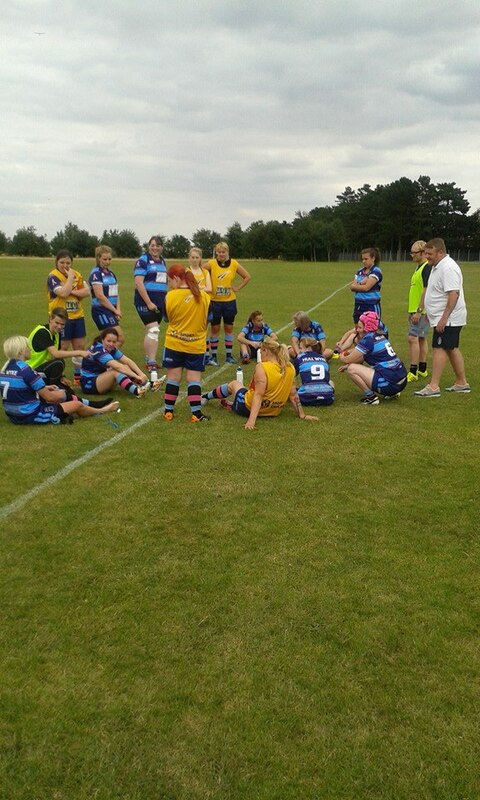 Sally also confirmed that Hull Wyke Ladies do have some sponsors in place but would welcome more with open arms. Once the interview was over the music was soon re-started as an almost party atmosphere encapsulated the minibus which needs a bungee to hold the door closed. RAF College Cranwell is a very big site, so big in fact that it has its own car park for its own multi-sports venue which also has its own clubhouse where food and drink was to be served after the match. 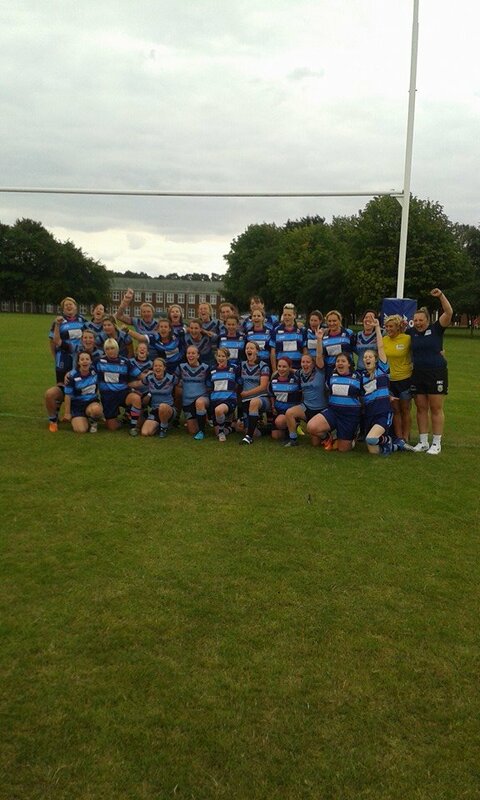 Hull Wyke Ladies had previously played Ince Rose Bridge ladies over in Wigan and, before that game, they had played Brighouse from West Yorkshire and had beaten both, this however was likely to be a sterner test of their promising credentials. The game started at a good pace, in fact if I hadn’t known it was a friendly, I would have sworn that the intensity was of a league match standard. 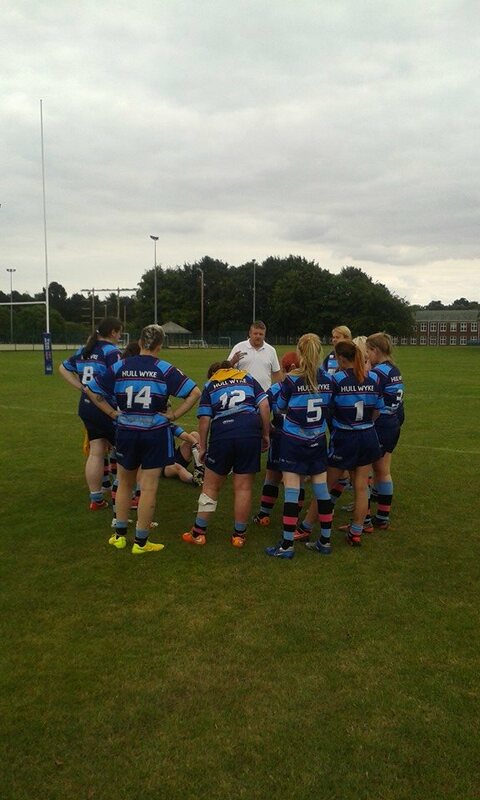 Playing 30 minutes each way it gave the ladies plenty of time and opportunity to show their undoubted talent in defence, attack and all round intensity, while an unmistakable comradeship and respect pervaded. It was difficult to pick out the player of the match for the ladies from East Yorkshire in the entertaining 32-32 draw but it came down to between two players Jenna Greening, who’s hat-trick was a definite highlight and Jade Key who, despite her small, slight figure, was throwing bigger RAF ladies to the ground in the tackle with genuine relish and was a definite thorn in the side of the oppositions defence with her distribution and running. Special mention must also go to Chloe James for some very good goal-kicking. 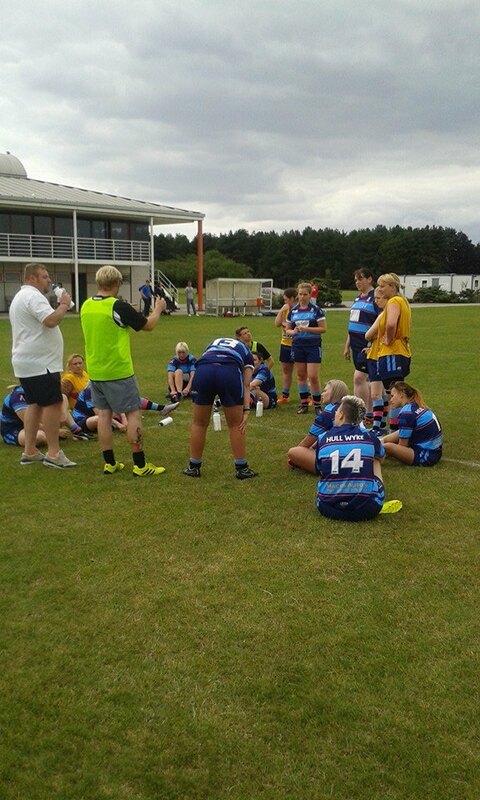 There was a great sense of tenacity, willingness to work and enthusiasm oozing through both teams and a fantastic team spirit throughout the whole day I spent with Hull Wyke Ladies. These ladies support the two teams on opposite sides of Hull but they seemingly transcend that great divide when they unite as one team with purpose of entertaining the good folk of Hull with good old fashioned guts, tenacity and blood, sweat and tears on a Sunday afternoon. The journey has only just begun, but I have a feeling it’s going to be worth absolutely every step.